You are at least eighteen (18) years old. 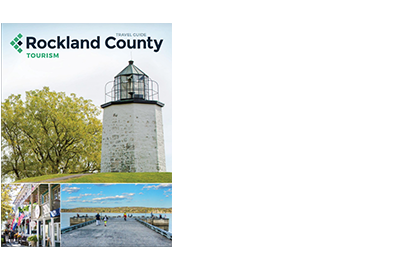 You own or control all rights in and to your User Content and have the right to grant the license granted above to Rockland County Tourism (Rockland) and its affiliates and service providers, and each of their respective licensees, successors, and assigns. All of your Submissions do and will comply with these User Generated Content Terms and Conditions. If children are depicted in your Submissions, you are the parent or guardian with legal responsibility of any minors depicted therein. You have the right to use the likeness of any person depicted in your Submissions. You understand, acknowledge and agree that you are responsible for any User Content you contribute or submit, and you, not Rockland or its affiliates and service providers, have full responsibility for such content, including its legality, reliability, accuracy, and appropriateness. Rockland (or its affiliates and service providers) is not responsible or liable to any third party for the content or accuracy of any User Content posted by you or any other user. You acknowledge that your participation is voluntary and will not receive financial compensation for your content. All Submissions must comply with the Content Standards set out in these User Generated Content Terms and Conditions. Any Submissions will be considered non-confidential and non-proprietary. By providing any Submissions, you grant Rockland and each of their respective licensees, successors, and assigns a perpetual, fully-paid, royalty free, worldwide, irrevocable right and license to use, reproduce, modify, create derivative works of, perform, display, distribute, and otherwise disclose to third parties any such material for any purpose. Violate the legal rights (including the rights of publicity and privacy) of others or contain any material that could give rise to any civil or criminal liability under applicable laws or regulations or that otherwise may be in conflict with these User Generated Content Terms and Conditions. Be likely to deceive any person.